NYT declares Mayer July at The Jewish Museum an "extraordinary exhibition"
Sometimes it takes a family, and a persistent one at that. So it was with Mayer Kirshenblatt, a reluctant painter and accidental memoirist whose words and images form an extraordinary exhibition at the Jewish Museum. 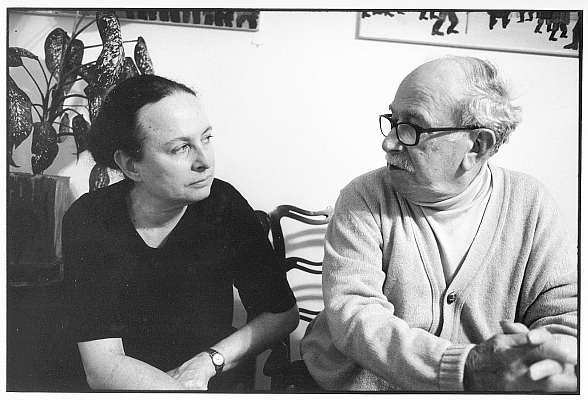 “They Called Me Mayer July: Painted Memories of a Jewish Childhood in Poland Before the Holocaust” contains nearly 70 canvases and a dozen works on paper. Nearly all depict scenes of Jewish (and some gentile) life in between-the-wars Poland with a charming combination of poignancy and precision. "...the same personal, unmistakable voice comes through in both the text and pictures, the voice of a person on whom nothing is lost, of a person who sees everything, takes in everything, and reproduces everything with life, precision, exactitude, and fidelity, a shrewd, strong, honest, direct, clear, and unvarnished voice, a voice which while it is uniquely personal is, at the same time, the voice of the quintessential East European Jew..."
We just won the J. I. Segal Book Award! 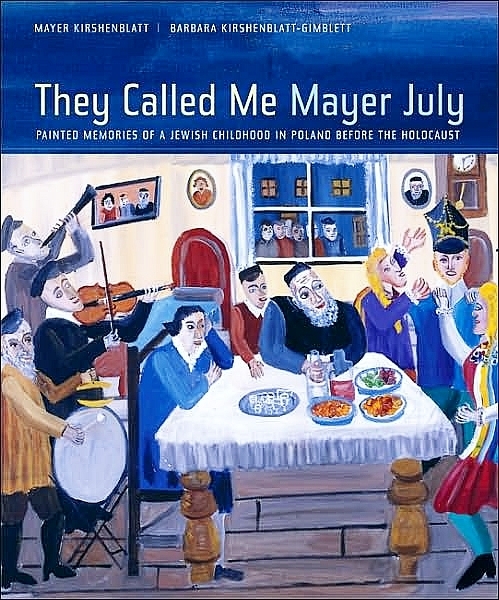 We just got the news that They Called Me Mayer July just won the J. I. Segal Book Award. We look forward to attending the award ceremony in Montreal in November during Jewish Book Month. Details to follow. Winner of 2008 AAUP prize for book jacket design! We are very proud of our designer, Nola Burger. They Called Me Mayer July just won the 2008 AAUP (American Association of University Presses) award for book design in the illustrated trade book category. Winner of a 2008 Canadian Jewish Book Award! 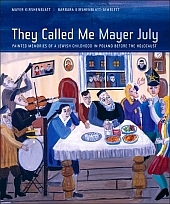 "The Canadian Jewish Book Award jury at the Koffler Centre for the Arts has awarded They Called Me Mayer July the Samuel and Rose Cohen Memorial Award for best biography/memoir." Citation: "Memory emerges from the shadows both orally and visually in this stunningly produced volume. Kirshenblatt’s naïf or folk art paintings of his memories of life in Apt, the Polish shtetl where he grew up, may be familiar to many; here they receive a full and rich presentation. The book contains dozens of full-colour and black-and-white reproductions of the drawings and paintings he produced in his home studio. Equally valuable are the stories that his daughter, an oral historian, coaxed out of him as he described the scenes in the paintings. Her own memoir of her family adds yet a third layer to the story of a family as it lived and changed through the twentieth century in Poland and Canada." We are deeply honored by this award and delighted to have been part of the festive award ceremony on June 4, 2008, in Toronto. The awards celebrate “excellence in Canadian writing that reflects Jewish themes and subjects in history, fiction, Yiddish, theatre and other fields.” This year marks the 20th anniversary of the Canadian Jewish Book Awards. We are a finalist for the National Jewish Book Award in 3 categories!